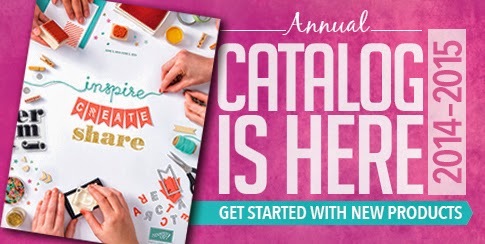 The new 2014-2015 catalog is here!!!! Check it out now by clicking the links below. A Whole Lot of Love Promotion! We love Valentine's Day! And why wouldn't we? It's a chance for us to say "I love you." And it doesn't just have to be about romantic love. This holiday is a time to share the love with anyone and everyone. We're here to help you prepare with the A Whole Lot of Love products. 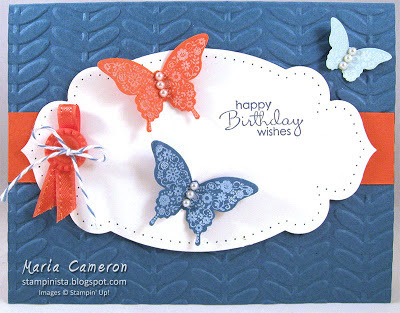 Click here to see the beautiful stamp set images. Click here to see the other items available. 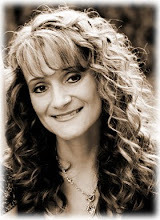 Contact me today or click here to place your order online. 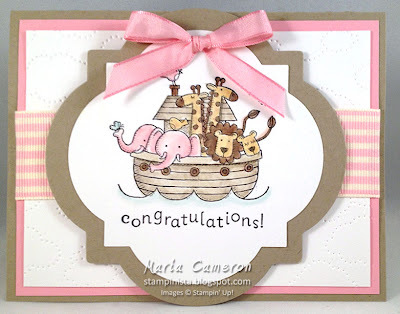 Here's a "Congratulations" card that I made for a friend who just had a baby girl. New Photopolymer by Stampin' Up! Stampin' Up! is excited to announce that we now have wood-mount, clear-mount AND photopolymer stamps! The new photopolymer will be an addition to our stamp line and will appeal to all types of stampers. Our top-quality photopolymer has just enough give to create a perfectly stamped image every time and with the introduction of our firm-foam pads, let's just say they're meant for each other! Photopolymer stamps will also be unique, fun designs that will inspire you and provide more versatile options you may not see in our traditional wood- and clear-mount stamp options. Available beginning March 1, 2013. Please contact me if you are interested in placing an order. Here is a sample that I made using some of the brand new Sale-A-Bration (SAB) items. This color combination was inspired by the Sycamore Street Ribbon & Button Pack. As part of Stampin' Up! 's 25-year anniversary celebration, they are bringing back some of their favorite stamp images from the last quarter century and combining them into 12 sets, which will release-one set per month-during 2013. Even better, along with some great classic images, each "Best of" set will also include a never-before-seen image! While Stampin' Up is releasing just one Best of stamp set per month, all of the Best of sets will be available until March 31, 2014. As a special incentive to collect the Best of stamps, starting in February SU is including a collector's card and 25-year proof of purchase sticker with every Best of set. Collect six stickers, and send it in to redeem a FREE set of your choice valued up to $14.95! Free sets must be redeemed no later than April 30, 2014. Check back here every month to download a flyer for a new Best of stamp set. Check back every Tuesday for great new deals!